"The premier intelligence network on Halo, executing tactical operations since May 20, 2009." SAS Enlisted responsibilities are shifted down one rank. 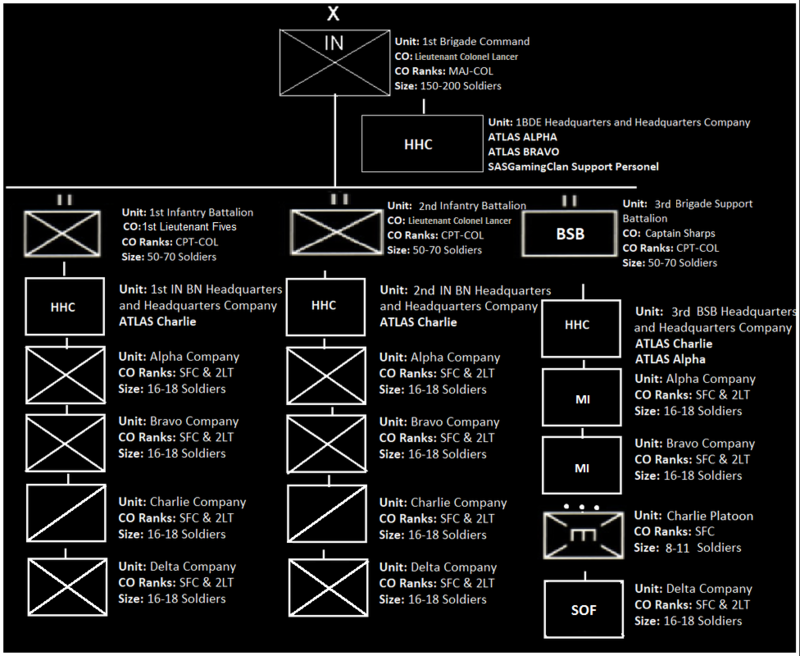 Example (SAS SSG's are PSG's instead of SFC's) and (SAS SFC's are 1SGT's instead of MSG's or 1SGT's). SAS Officer responsibilities are shifted down two ranks. Example (SAS 2LT's are CC's instead of CPT's) and (SAS CPT's are BN CO instead of LTC's). SAS Units tend to be about 70% SMALLER than traditional military structures. Example (SAS Fireteams are 2-3 men instead of 4-5 men) and (SAS Squads are 4-6 men instead of 8-12). Click the Deployment Structure Image above to download a copy.